I am a current Ph.D. student at UC Davis with an emphasis in archaeology. My interests are deeply tied to topics of technology and human evolution to aqueous environments. My specific research interests surround the production and use of terminal Pleistocene and early Holocene lithic technologies in the Far West of North America, and specifically what roles these early flaked stone tools played in Paleoindian subsistence systems. My Master’s thesis research concentrated on deciphering the organization of production of single-piece shell fishhooks on the Southern California Channel Islands during the late Holocene. I use an integrative multi-methodological approach to studies of ancient technologies which integrates conventional analytical techniques with replicative studies (experimental archaeology). 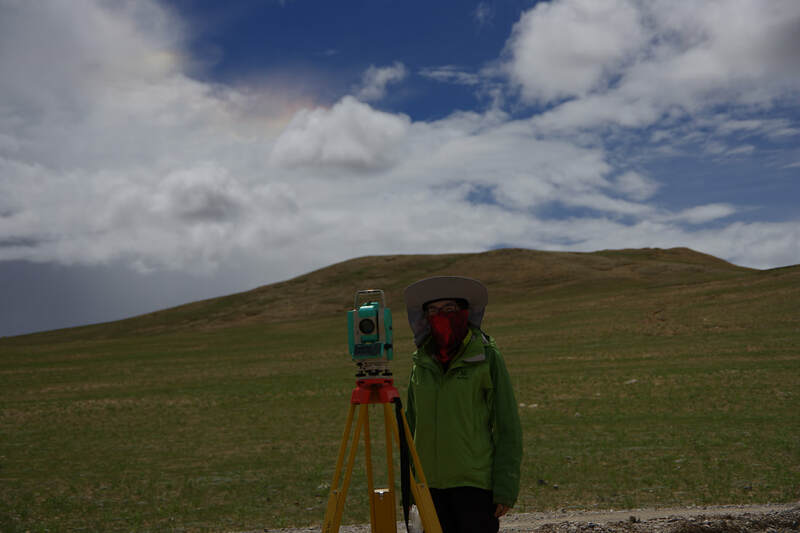 My Ph.D. research focuses on the archaeological record of the Nihewan Basin in northern China and what it can teach us about the technological strategies of early Homo as adaptations to new environments when populations began dispersing out of Africa ca. 1.8 million years ago. Through my research, I analyze stone artifacts from the earliest known period of occupation at Nihewan ca. 1.6-0.8 million years ago to reveal: 1) how early humans selected raw material to make stone tools; 2) how they moved stone tools around their environment; and 3) what technical rules they followed in making stone tools. More broadly, my research asks why they organized their technology the ways they did, and addresses the long-standing question: why is the earliest archaeological record in East Asia characterized by a prolonged Oldowan technological strategy instead of the derived Early Acheulean technological strategy that was used by early human populations in East and South Africa as well as West and South Asia ca. 1.7-1.0 million years ago? I am a PhD student in the Evolutionary wing of the UC Davis Anthropology department, studying behavioral diversity in the Middle Paleolithic (MP) and Upper Paleolithic (UP) of Europe and Asia. My research focuses on the specialized use of bone by Neanderthals and anatomically modern humans, in particular how– and if– bone has been used as fuel by different populations in the past. In addition to my work on archaeological burnt bone in MP and UP combustion features, I also am involved with various archaeometric analyses to describe and record bone crystallinity. These experimental projects aim to address both bone diagenesis and the thermal properties of bone so that we may better understand specialized bone tool technology. Data produced for these projects, as well as my experimental work replicating Paleolithic art, is supported by the CEAD group, so that my interns can learn how experiments are designed, can receive first hand experience with data collection, and can assist me with data analysis. I am excited to better understand Neanderthal and modern human variability in fire behavior, as well as with bone technology. For more information, feel free to contact at the email address listed below. I am a Paleoanthropologist exploring technological and behavioral innovations in early modern humans. My major research interests include stone tool technology, the emergence of complex behavior, and heat treatment of lithic raw materials. Currently my work focuses on the Middle to Later Stone Age transitional period in Southern Africa, where I investigate technological and social responses to rapidly changing climate conditions at the end of the Pleistocene. My research centers around a newly discovered archaeological site along the Southern Coast of South Africa, Knysna Eastern Heads Cave 1, with occupational periods dating to a time when we have little information on human activity in the region. I will look at stone tool technology in hopes of putting innovations in human behavior, material culture, and landscape use into context with the larger picture of human evolution. ​I am a Ph.D. student of Department of Anthropology. My research interest is about lithic technology, especially the blade technology and its relationship with flake technology in East Asia and adjacent regions. Also, I am interested in lithic use-wear analysis and use-wear experiments. I am a first-year Ph.D. student in the Evolutionary Wing of the Anthropology Department. My research interests include behavioral transitions in the early archaeology record, the development of complexity in lithic technology, and experimental archaeology. In particular, I am interested in reconstructing hominin behaviors through experiments in use-wear, lithic tool use efficiency, and behavioral transmission.